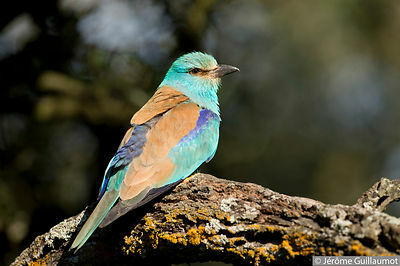 Book : "Territoire de Rollier"
Extracts from a hide photo session featuring the European Roller (Coracias garrulus). I really love this bird and, for the seventh year, I monitor a small population of this threatened species and try to help them with nest boxes setting. I usually arrive on the field and build my tent before sunrise before birds are active to prevent any disturbance. I filmed some typical behaviors : parade flight, greeting call, neck and head shaking when the pair meets, feeding (here a Beetle - Cetonia aurata) and regurgitation ! I present you my favorite bird.